CANTON, MA (June 27, 2018) – Just ahead of the July 4th holiday, Dunkin’ Donuts is bringing Donut Fries across America. Following a successful test earlier this year, Dunkin’ Donuts today announced it will now bring new Donut Fries to guests all throughout the country, available for a limited time at participating Dunkin’ Donuts restaurants nationwide beginning Monday, July 2. 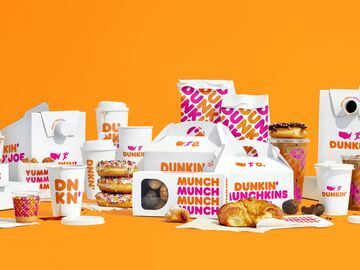 Dunkin’ Donuts’ newest snack serves a sweet spin on classic fries, creating a fun, easy-to-eat way to enjoy the delight of donuts while on the go any time of day. Donut Fries feature individual pieces of delicious, buttery croissant style donut dough that are tossed in cinnamon sugar and served warm with just the right amount of crisp. Perfect for sharing, five Donut Fries come with each order, served at a special price of $2. Brown Sugar Cold Brew: Dunkin’s cool new Cold Brew choice offers sweetness with no artificial flavors, adding naturally flavored brown sugar syrup to the brand’s energizing and refreshing Cold Brew coffee. Dunkin’ Donuts Cold Brew is crafted by hand in small batches, prepared by steeping a special blend of coffee in cold water for 12 hours. This longer process extracts a uniquely distinctive, inherently sweeter flavor from the beans reminiscent of dark chocolate. Chocolate Coconutty Donut: A creamy, indulgent summer treat, the Chocolate Coconutty Donut has coconut crème filling with real flakes of coconut, is frosted with chocolate icing and sprinkled with crumbled shortbread cookie pieces. Shark Bite Donut: It’s a feeding frenzy for donut fans, who can now put their jaws around this new donut featuring white icing and special shark-shaped sprinkles. 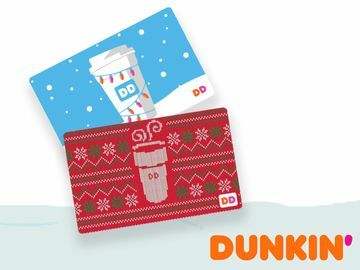 All are available beginning July 2 at participating Dunkin’ Donuts restaurants nationwide.